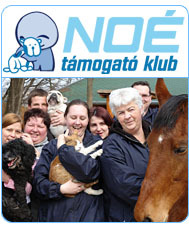 The volunteers of the Noah's Ark Animal Shelter experienced chaos, fear and hopelessness as they arrived at Kolontár, one of the three villages in the Hungarian countryside that were devasteted when one million cubic meter of highly toxic industrial waste (the so-called “red mud”, a substance rich in iron oxide, with a low level of radioactivity) was released due to a reservoir burst in an alumina plant. The flood of sludge destroyed houses, killed people including children; the death toll rose to five on Friday as one person died in hospital. When we heard the first news about what happened, we started to organize the rescue operation immediately. Several animal rescue organizations worked together and on Wednesday we started rescuing the animals that survived. A high number of farm animals were living there, so we had no time to chill. Unfortunately, as expected, most of them couldn't make it, but there are still a lot of terrified, injured, lost animals among the ruins, many in mortal peril. As our animal shelter usually gives a helping hand in such situations, it was clear that we must participate. We started working, were in contact with local authorities and other animal rescue organizations, and still hoped to find animals alive in the thick layer of toxic sludge. What we saw was even worse than expected. Our volunteers walked and climbed from one ruined house to the other, searching for life signs, but in most cases the only thing we could do was to collect the dead bodies. Poultry kept in small sties and dogs tied on a leash had no chance to escape and drowned in the waste. Some lucky ones survived, these were given immediate veterinary care and, supposedly, most of them will need a long medical as well as psychological treatment. They suffered skin burns, eye, nose and mouth damage; the first thing was to wash them carefully and to treat their wounds. Animals that lost their owners or those that cannot be kept by their masters any more, were transported to the shelter in Budapest. The Noah's Ark Animal Shelter Foundation and other animal rescue organizations will finance their medical treatment and housing. On the first day ca. 20 dogs, many cats, hens, turkeys and one red-eared slider were rescued, all are in a critical condition. The operation is not yet finished; we hope that those animals that could escape and ran to the nearby forested areas, will slowly come back home, so the rescue continues in the next few days. Animals rescued and collected in the area will be registered, and their data along with their photos will be published on the animal shelter's webpage; the list will also be put on display in the town halls of the affected settlements, so that their owners – if alive – can find them and decide if they can care for them in the future. We will report on the rescue operations on our webpage. Photos of the operation and the rescued animals are available here. Please feel free to share and use them! Please help those in need! Every little penny counts! There are no more articles in this theme in your language.